I haven’t had a Job in a Year & I love it. One year ago one the best things in my life ever happened. I got fired, I got laid off, I got let go. Most people would take this as a devastating event in their life but I had other plans. I was working for a large international web hosting company called 1&1 for two years. I’ve had many jobs before working for that company and there was always one thing that was a constant. You can lose your job any minute. Especially when you’re working in the sales field and your income is always fluctuating. Your head is always on the chopping block and you never know if you’re going to hit your quota for the week or get canned. After five years of sales I had had enough. My entrepreneurial mindset was one of the qualities that always set me aside from the other employees in the work force. At the same time it was one of the things in the past got me into trouble with my bosses. Management is always intimidated by a person who thinks outside the box or thinking outside the rules and structures that they have provided you with. That is me in a not shell. For a year I start wondering what kind of job or business I should own that would allow me to structure my time in anyway I would like to run my schedule. I would’ve never thought that it would’ve been such a simple answer. I have had my hand in social media marketing since MySpace was invented. I would have never thought that running my bands MySpace would one day bring me an income to live off of. I had a couple of my clients asked me to run their social media as well as their website. Most of them did not have the time or the patience to keep up with their social media presence. I have also found that there are a lot of intricate parts to a business is social media that they are missing or not being used to drive more traffic and business to their location. Suddenly I had become an expert in something my friends laugh at me getting paid for. “You paid to just play with their Facebook and stuff.” Yes. I get paid to play with their Facebook which is an understatement. One of the things I noticed while working for a big company was that these small business were paying thousands of dollars to these giant marketing companies for next to nothing in results. Many of my client’s were wrapped into these 6 month to year long contracts with no option of getting out. This was something that really got under my skin. 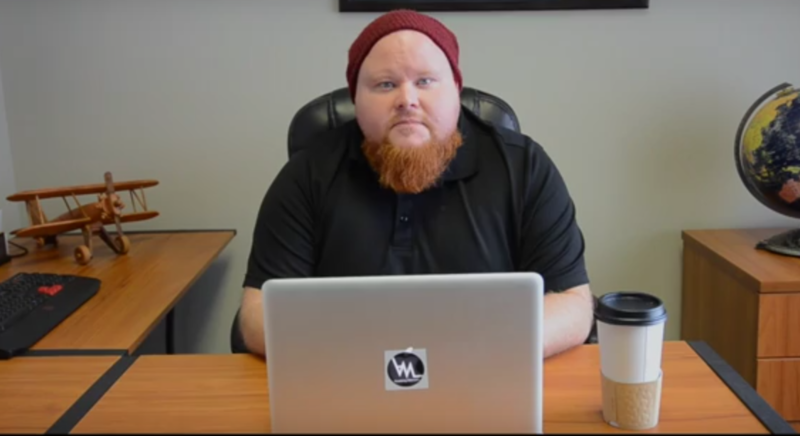 Red Bearded Marketing was born from trying to find my clients cost effective and organic marketing alternatives that give results.